New Delhi, January 25: One for the pride of the nation! As the Indian Army strives hard to secure the people of the nation, it is our duty to secure their lives after retirement. In a very welcoming move and with approval from the Defence Minister, it has been decided that disability or war injury pension for armed forces personnel shall be minimum Rs 18,000 per month, the ministry said on Thursday. 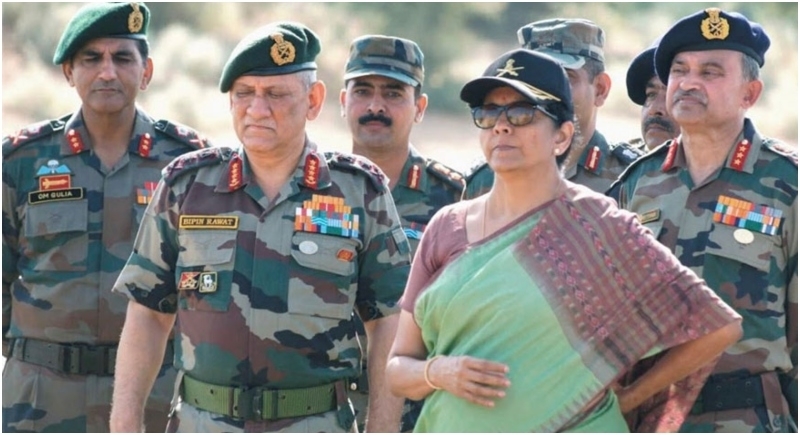 "With approval from Smt @nsitharaman, it has been decided that the disability/war injury pension, special family pension and liberalised family pension shall be minimum Rs 18,000 per month for Defence Forces pensioners/family pensioners, with effect from 1/1/2016," the Defence Ministry said in a tweet. The Defence Ministry last July had said armed forces personnel would continue to get disability pension based on percentage system till the Anomaly Committee came out with a report on the issue. There was widespread criticism from opposition parties and the military establishment over a letter issued prior to that which had introduced a slab-based system, as recommended by the 7th Pay Commission, for determining the disability pension for defence forces. Following this, the ministry had referred the matter to the Anomaly Committee. However, there was confusion as to what system would be used to determine disability pension. Till the committee comes out with a report, existing percentage system will be used to determine disability pension, defence sources said.